As one of the first to produce hotel virtual tours for hospitality, we are very honored to have won the “Matty” for the best hotel virtual tour at the first annual Matterport “Matty” awards in the “Great Escape” category. 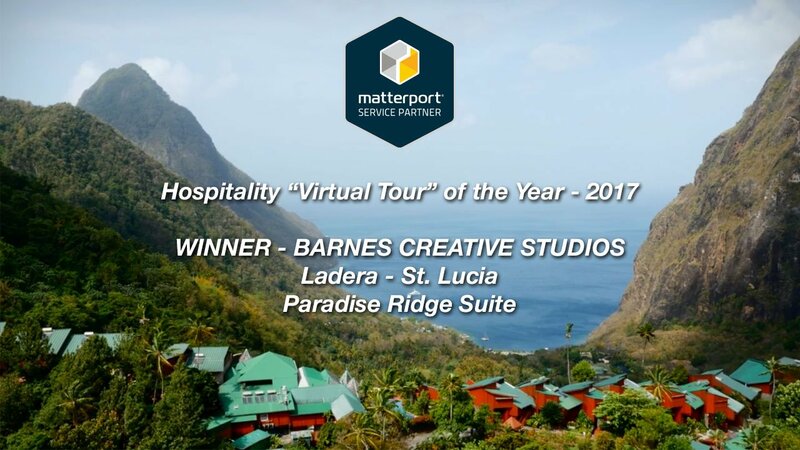 We travel the globe and produce Matterport hotel virtual tours at some amazing destinations but the honor can only go to one space…the winner is The Paradise Ridge Suite at the legendary Ladera Resort in St. Lucia. Have look around in our winning Matterport hotel virtual tour below. Our focus on Matterport for hospitality is a great example of our continued dedication to serving our clients with the best technology available to help with their marketing efforts. Steve Barnes spoke with Matterport about producing hotel virtual tours for some of the top brands in hospitality for the Matterport blog. If you are thinking about adding Matterport virtual tours to your plan we can help you with professionally produced virtual tours. There is a difference in quality depending on which producer you choose to work with and we’ve laid out some things to look for when purchasing hotel virtual tour. Please, contact us for more information.